Remember the old Icon nightclub on top of the Hooters and El Compadre restaurants on Figueroa across from the Los Angeles Convention Center? It closed down and the Don Chente Bar, Grill & Lounge moved in. We finally checked out the place this past weekend and the only nice thing I can say is that the place has an amazing rooftop deck and view of the DTLA skyline. The venue is great. You enter up a grand red carpet staircase into the restaurant. There’s a huge bar in the center, and it is surrounded by plenty of tables. The real draw of this restaurant is rooftop lounge with the couches, cabanas and fire pits. 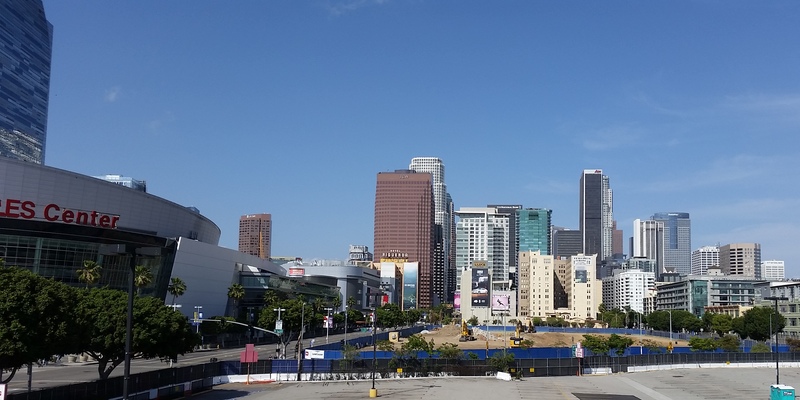 The view from the 3rd floor roof of the DTLA skyline is probably one of the best in the city. Now, let’s talk about the food and service. We were there for the buffet brunch. The food was okay, but we were not impressed. Our server was very friendly, but not very attentive. I don’t know if she was just overworked, or just a poor server. There seemed to be a lot of people working in the place but our service was slow from the hostess to the server to the bartenders. I really don’t enjoy saying bad things, but I also feel that I need to be honest. I’d go back for drinks with friends at the rooftop bar, but I’m not sure I would give the restaurant another try. 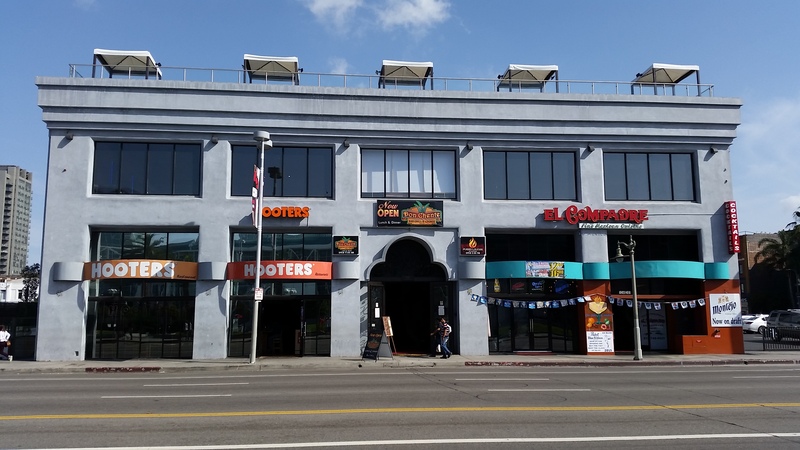 This entry was posted in DTLA Bar, DTLA Restaurant and tagged Don Chente, Downtown LA, Downtown Los Angeles, DTLA, DTLA Mexican Restaurant, DTLA Restaurant, Mexican Food, Rooftop, Rooftop Bar. Bookmark the permalink. Me gustaria saver si el dia de mañana tienen mariachi.por favor.